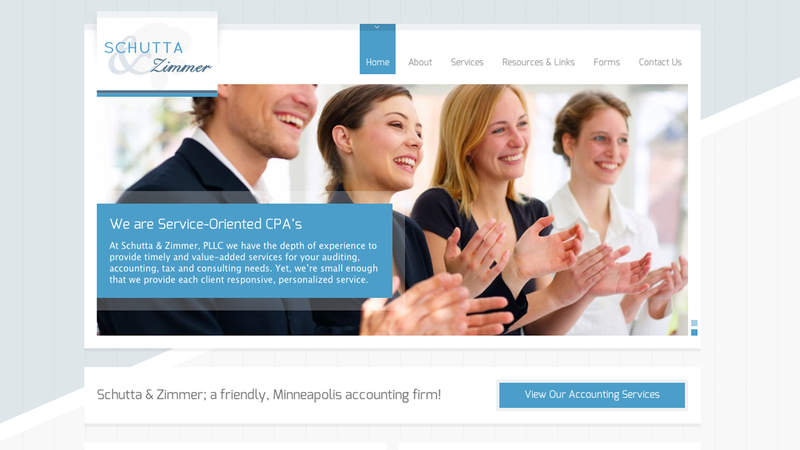 Schutta & Zimmer, PLLC is a Minneapolis account firm that was in need of a website. For the design, we installed a theme and made appropriate modifications. This allows us to provide great value to our client. The site has WordPress on the backend as their Content Management System, giving the client full control over all site content.